We have been breeding and showing Chins for over 18 years beginning with Chins from Ruth Whitehead Aston. Chins are our passion. We travel up and down the East coast showing and enjoying our Chins. 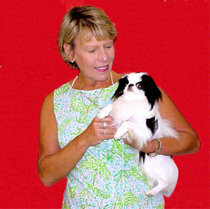 We occasionally have Japanese Chin puppies available to loving and responsible homes. 2018 Cherbo Chins — Have a Blessed and Happy Day!